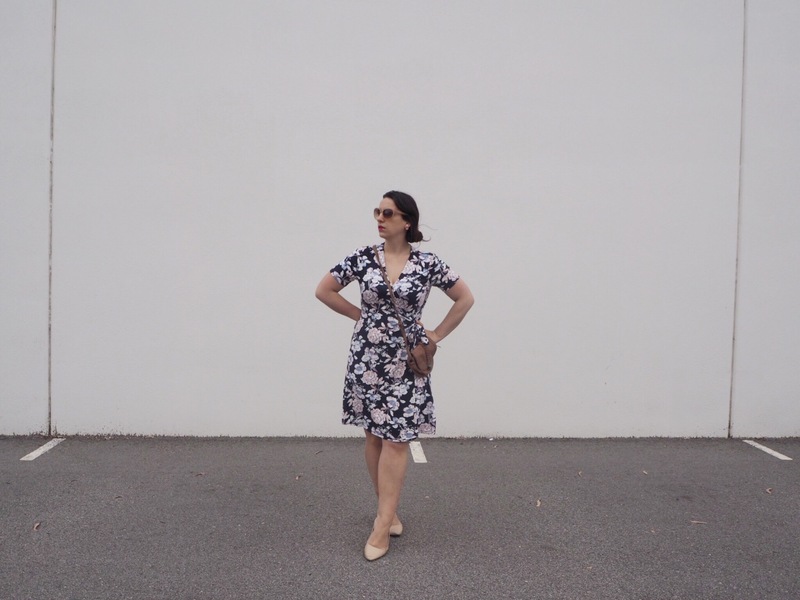 New frock time Frocktober friends! It’s not every day I buy things full price. 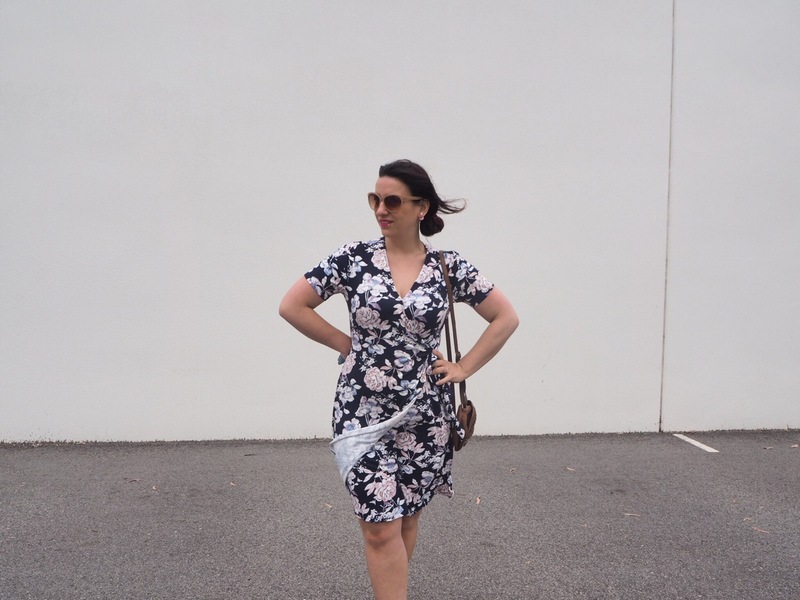 I know right, the thrifty bargain hunter in me likes things cheap and cheerful, but when I came across this wrap dress scrolling through my Instagram feed I knew I had to have it – even though it wasn’t on sale! This floral beauty is new season Rockmans, and it was love at first sight! The cut is perfection for those with curves, the colour scheme is something I don’t have in my bursting wardrobe, and it is the perfect length for work. It works well for play too, but I know this frock will be on high rotation in my office. I’ll admit I’ve only recently become a fan of Rockmans. I lived in a pair of their biker jeggings over Winter and since then I’ve scoured their website every so often to check out what they have to offer. 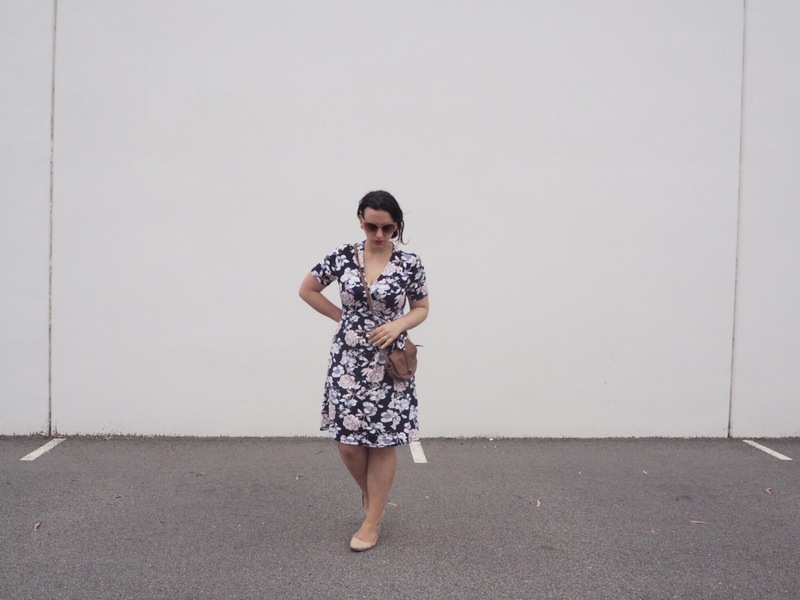 If you’re a fan of this frock you can shop it now. They’ve also got some stunning Spring race wear and a divine blue maxi I’ve had my eye on available now. Perth’s weather has been totally bizarre this week, and I’ll admit I’ve been carrying cardigans and jackets with me to throw over my frocks. Frocktober is going to happen rain, hail or shine, but I’ll say I’m waiting for the sunshine. Because this frock fan has been a little chilly all week! The weather man says there is sunshine on the way so I hope he’s not tricking me! If you want to see where my frocks are taking me this month pop over to Instagram stories. You can see the proof I’m wearing my dresses, and follow my daily frock fun. Quick recap if you’re new to the blog. Frocktober is a philanthropic campaign accessible to all Australians passionate about women’s health. All funds raised are distributed as scientific grants to dedicated ovarian cancer researchers in Australian and New Zealand hospitals, universities and research institutes. Through these vital research efforts, the ultimate aim of the OCRF is to develop an early detection test for ovarian cancer that is both non-invasive and cost effective, so it becomes a habitual part of every women’s regular health check-up regimen along with mammograms and pap smears. The OCRF is not government funded for their research, so they need all the support they can get! If you want to donate to the OCRF every cent counts. Plus it is tax deductible end of financial year! 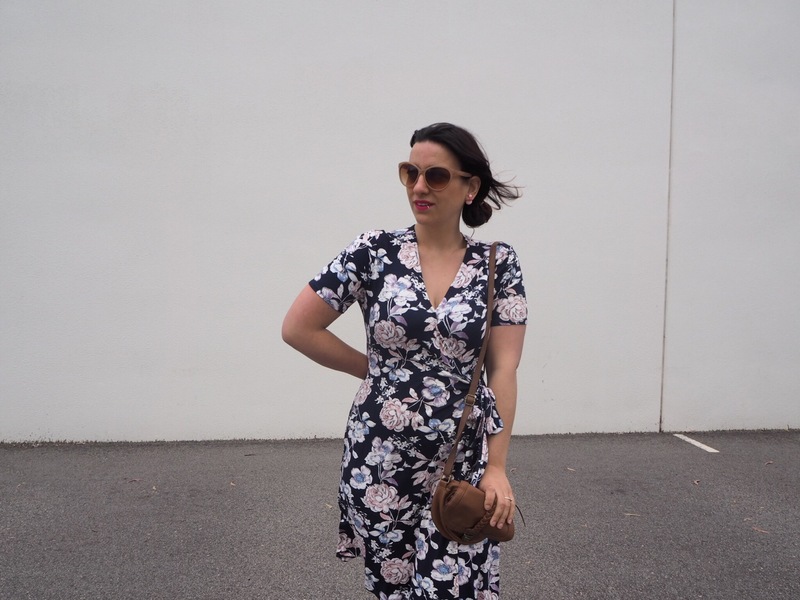 If you’ve missed my first few Frocktober looks you’ll find them all here. Perhaps I’ll inspire you to get your frock on this month for the OCRF. And if you want to donate to Frocktober, please click here. It’ll take five minutes and every single dollar counts. Do you wear dresses to work? Tell me about them! At least Mimco is styling my dear! Yet another fabulous frock ~~~!!!!!!!! Thanks T. I love this one.